Monde Sans frontière (M.S.F.) is one of the most important travel agency incoming in France with around 50 employees in Paris and Nice and with our branches in the rest of the world : China, Russia, Ukraine and Brazil. 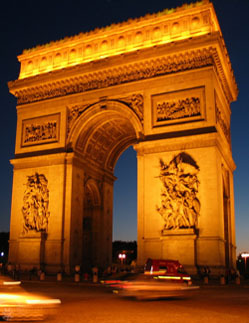 In France, we organize your stays from A to Z :thanks to our expertised of more than 35 years. We offer as well packaged products as customized visits in adequacy with your demand. The age of M.S.F in France allows to offer to our customers quality products, tested, visited and controlled by our care. We visit regularly the establishments which we have selected to guarantee you the highest constant quality level in the time. Moreover, our collaboration in the course of the years with our suppliers (hotelkeepers, restorers) allows us to offer the good providers to very competitive rates on the market. The perfect knowledge of the demands and the expectations inherent to every nationality increases the ability to react of our multilingual and multinational team.